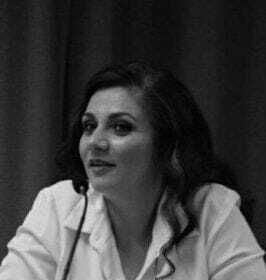 Maria Tsiaka, BA, PhD(c) is a psychologist, family-therapist and Founder and Executive Director of the Hellenic Center for Eating Disorders, a profit support and outpatient treatment facility established in 2006 in Athens, Greece. She has been working on the field of eating disorders since 1997. She has developed and implemented the Home-Based Treatment Program for adolescents and adults with severe and enduring anorexia nervosa all over the country. She has practiced the cognitive interpersonal maintenance model on Greek families and investigated its applicability on bulimia nervosa and binge eating disorder. Furthermore, she delivers the brain approach four-day intensive multifamily program in Greece. She has presented in international conferences on eating disorders and organized various conferences on eating disorders. She also has presented lectures nationally on eating disorders, more specifically on the critical role of the family in the recovery process. Additionally, she has trained many health professionals in the field. Her research areas are focused on carers’ and patient’s experience of an eating disorder. She is an active supporter and community presenter, a member of European Family Therapy Association (EFTA) as well as a member of the Academy for Eating Disorders (AED). She is working towards empowering Greek families through eating disorders awareness.